Just be careful of overkill! I use a yeti into the laptop - for the most part it never needs adjusting other than xsplit will forget its the default mic - what I do is have my Phone on the stream output and adjust the volume based on that. I have a countdown that plays music that lets me know sound is working on the stream and then I’ll use the output from the phone to double check the audio is getting through. And then usually I don’t have to touch it. 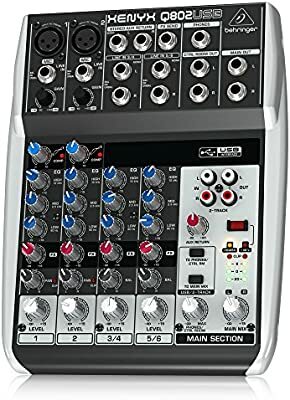 You can go with mixers etc but you still need to be certain the audio is right on the playout. Just a simple kudos to @spraynard for the stream and mobile rig he’s built that he’s putting to good use at regional events here in Texas. 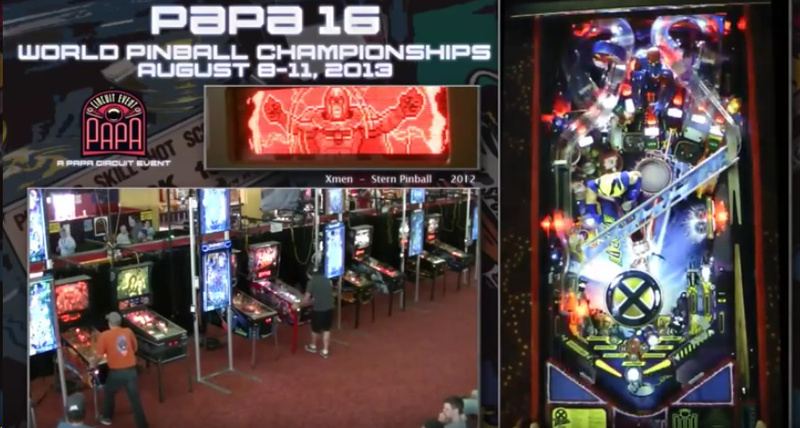 Check out his latest work on the TX SCS stream on the spacecitypinball channel on Twitch. He’s now got animated Changing Game screens, Instant Replay with a nice animation transition, game audio mic, and a telestrater. Oh, and he has a dynamic sponsor area that cycles in/out various sponsor logos on a set timer so more sponsor logos can get air time without tying up too much screen real estate. @spraynard definitely going to be bugging you about some of these features at some point Phil. Great work. Hoping to put my order in for my mobile rig over the winter. Thanks again to you and Karl for sharing the plans with everyone. We are probably looking to order the parts for the mobile rig in NC so we can do everything more easily. 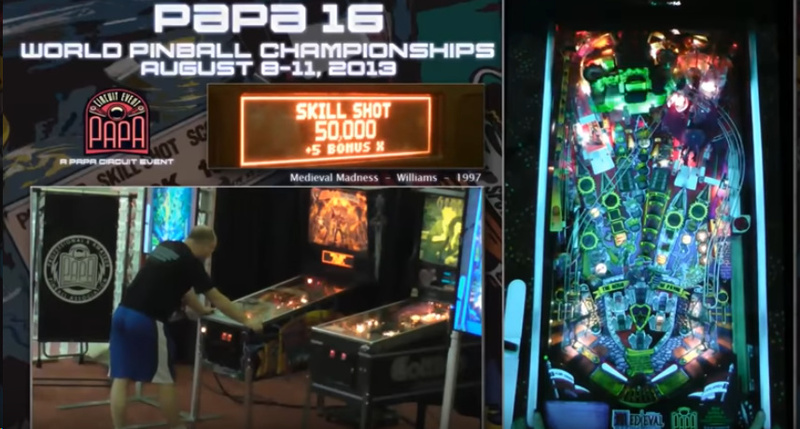 I am curious though, during tournaments do players ever have any complaints about playfield lights when they are on a neighboring machine? For the NC state finals we opted to not go with playfield lights as the room was pretty dark and felt like it would have been a distraction. That’s a tough one. I would try to find a way that the light cannot be seen by other players. Or mess with the gain to help as much as possible. Maybe some difusers are available to help too? I don’t think you could put lights on a mobile rig like that w/o bothering other players. I think you just have to try and properly light the room. Which isn’t easy. Without installing new lights you could try a few shop lights. Or photography lights. I’d point them at the ceiling so you don’t get reflections, but you would need lots of powerful lights if the ceiling isn’t low and white. Or just put pin stadium lights or something similar on the games. I had a light on the rig for Texas scs finals. No one complained, afaik. The light I use also can be turned down in intensity, enough to where it improves the picture and isn’t a blinding distraction for people in adjacent games. @spraynard Nice, yeah I guess just turning down the lights solves that. We are still getting our audio latency issues sorted out, which should hopefully be corrected on Tuesday by using the Elgato Cam Link instead of using a Elgato Game Capture HD. I’m thinking about switching from OBS to xsplit, because I’m sick of OBS crashing all the time. I don’t think XSplit has it built in, but you can use software like Epic Rewind or Boom Replay to give you the same functionality as the replay buffer in OBS. Really? Bummer. I was under the impression that xsplit was more stable. Damn. I had a ton of problems using xsplit initially. My stream would always drop frames. Never an issue with obs. 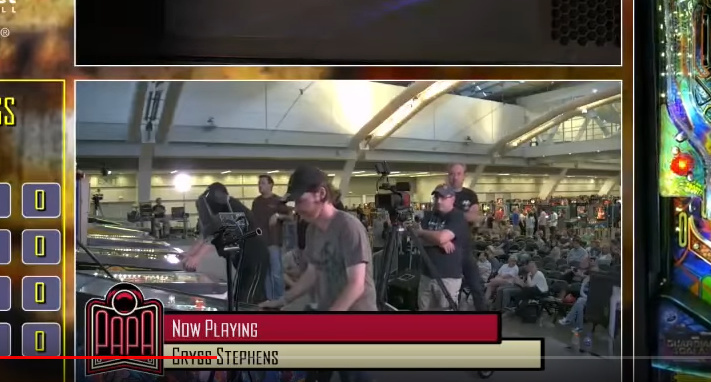 Wonderful to see the level quality pinball broadcasts have reached. There is just one thing about the productions I would like to see different. It has become common to have three video frames. Playfield, backbox and the players mug. Close up. For the third frame I will prefer a more far-shot of the area (birds eye-ish). Rather than a close up of the players face. As long as the current player/game is in frame. Never mind that you see a line of games and more players. It just adds to the impression of the event at hand. A bit of reactions from opponents and spectators even. Seeing the body movement of a player from a bit of a distance is a better broadcast than the face only. At least the way I see it. Besides. It will save you a camera for each additional rig used. And the ambience camera might as well be cable connected. I understand a guy like Danger who talks to the camera in the role of a presenter, would want to be in frame like that. Tutorials as well. But for competition it is different. Something like this with the camera higher up works best I think. Also here. Although I believe a shot from behind the player is better. Pros and cons. In the second one I have zero idea who’s playing the game I’m watching. Especially in earlier rounds of A when the whole stage is full of people playing. Here’s the angle I use. Can see the whole player and spectators. I think I’ll nix the commentator cam and make the player cam bigger this year to get more of the crowd. Now with mobile wireless rigs it’s going to be hard to capture the player and crowd too. Also most banks are broken up and not in a line making it harder too. That being said, excited to see what PAPA does this year at pinburgh. Their stream of that gets better and better each year. Anyone running low latency mode? Any thoughts? If you mean low latency mode on Twitch, I think it’s fine if you have a stable internet connection. Should cut delay from 10+ seconds to a few seconds. It’ll exacerbate any buffering if you’re having trouble maintaining your upload. It might be better if you tend to get transcoding options on your stream (i.e., when Twitch randomly gives your viewers the option between 480p, 720p, source…). Viewers also have the option to disable it if they’re on a poor connection. If you mean the low latency mode in OBS, I doubt it’d help at all for pinball streaming, and I wouldn’t mess with it. It’s for local latency only, not the transcoding latency on Twitch’s side. It’s for people streaming online games – it sends smaller packets to supposedly help keep their in-game ping time from spiking. I came to think of this PAPA broadcast. More examples of atmosphere/player reaction shots of the 3rd frame. I believe it works great with seeing a bit of the game too and the player to the game from the “player angle”. Anyway, my cents for inspiration. BTW. Check out how much the picture quality has evolved since 2013.